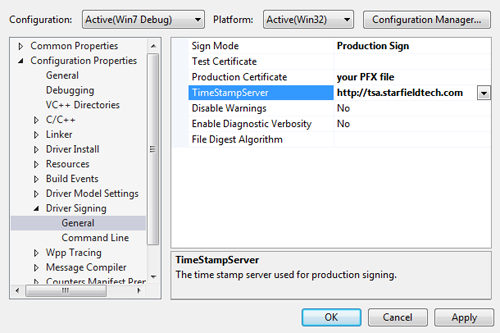 After installing your certificate and creating a PFX file, you need to sign your Windows driver with your certificate. 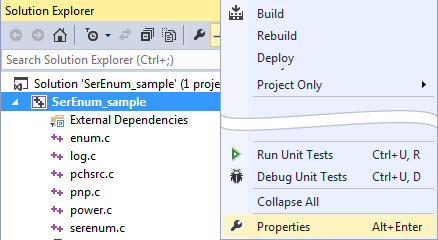 The easiest way to do this is with Visual Studio, though there are other options. In the Solutions Browser, right-click your SLN or VCXPROJ file, and then select Properties. In the menu on the left, click Driver Signing and then click General. Sign Mode Select Production Sign. Production Certificate Select your PFX file. Now when you build your driver, it will be signed using your driver signing certificate. Start distributing your newly signed file to your users.